Tatamagouche Oysters are tender and salty with a more mild flavor. Their medium size makes them a good choice for your raw bar. “Tatamagouche” is just fun to say… did you know it comes from the Mi’kmaq word for “meeting of the waters” (Tatamagouche Bay is formed by the mouths of the French and Waugh rivers). 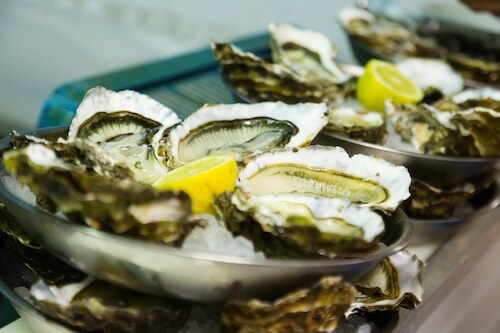 Don’t forget the lemons, limes and cocktail sauce – these colorful items can brighten up an oyster display.